Our attempts to witness wild bears fishing for salmon in Alaska met with limited success (see my post Close Encounter With An Alaskan Bear). Fortunately, we had much more luck (and purely by chance) during our visit to the Rocky Mountains of British Columbia and Alberta the following year. 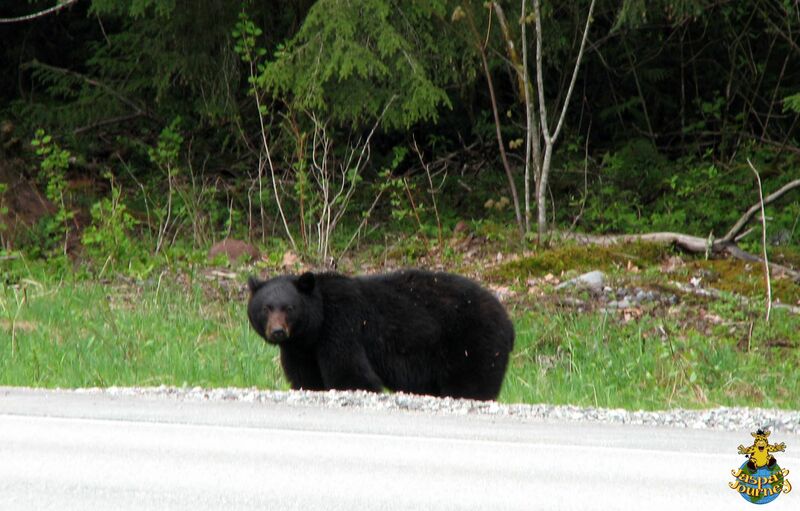 Our first encounter with a black bear was on the highway just south of Whistler, BC, on the way back from the hike at Brandywine Falls Provincial Park I wrote about a couple of months ago. The next day we were out for another hike near Whistler, this time at Basalt Valley. That day we ended up having to divert into the woods no less than three times to avoid black bears feeding on the forest service road we were trying to use as a shortcut back to our car! After leaving Whistler, we crossed the mountains on the Trans-Canada Highway. 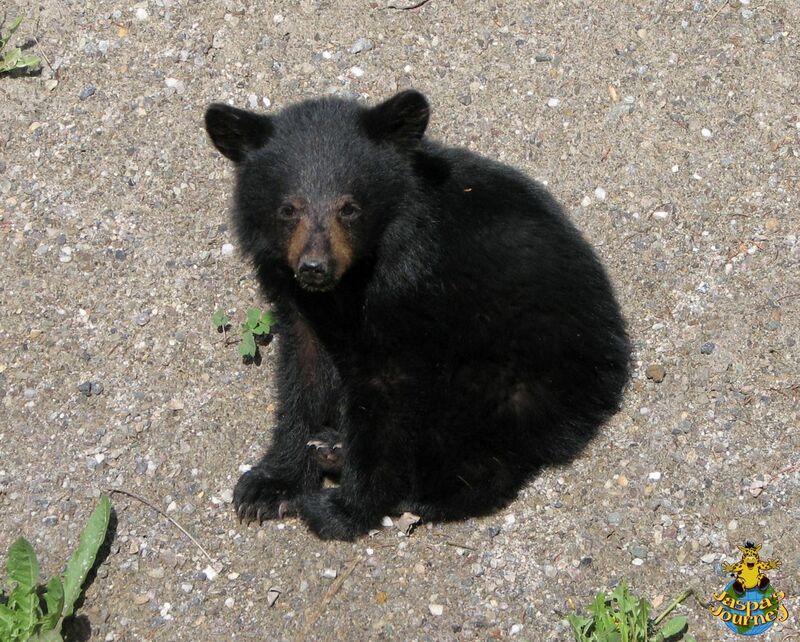 Just after Glacier National Park, we saw this little black bear cub alone by the side of the road. It was an exciting but sad encounter… To this day I hope he found his mother! 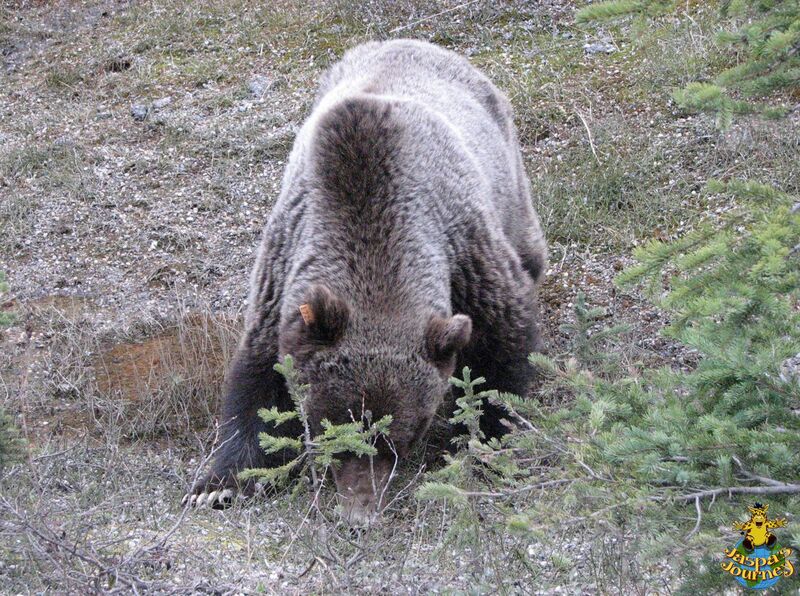 That evening, just north of Lake Louise in Banff National Park, Alberta, we had our only run-in to date with grizzly bears. 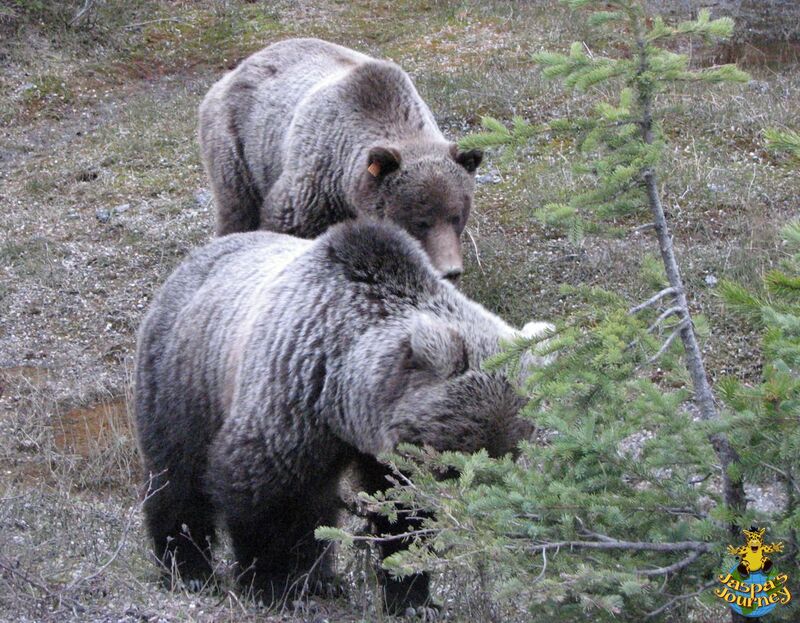 Until that moment I’d always joked about not knowing the difference between black bears and grizzlies. But after seeing this pair of marvellous monsters with their whopping big claws, everything suddenly became perfectly clear to me! 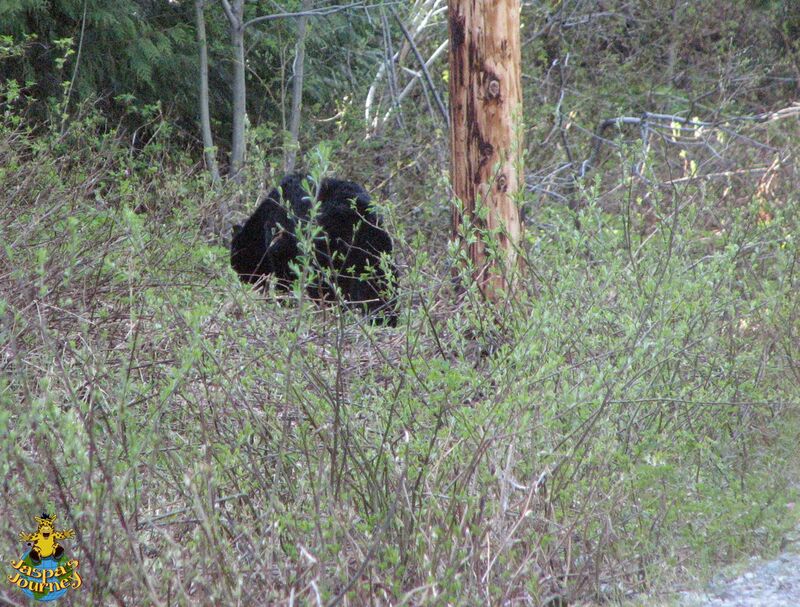 Our last sighting of a bear on that trip (and possibly since) was again of a black bear. This time it took place just outside the wonderfully-named town of Jasper (shame they spelled it wrong! 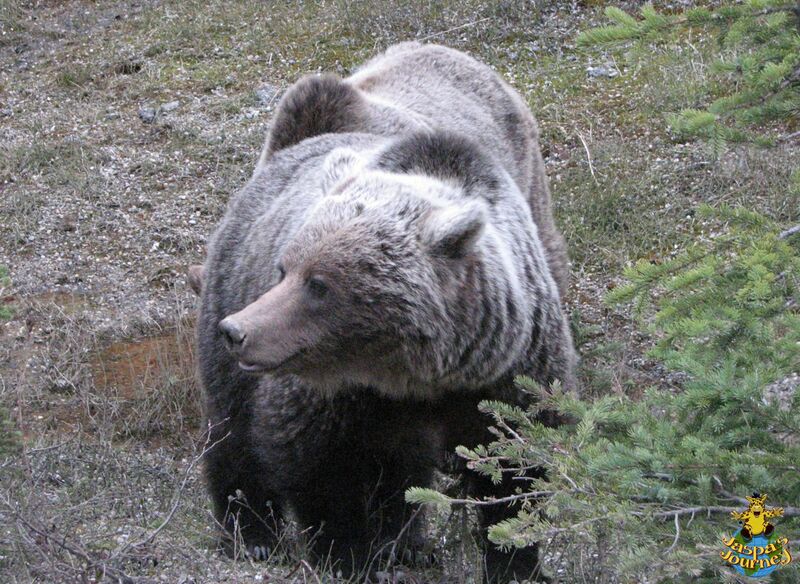 ), in Jasper National Park. I have to confess I cheated a bit on Tuesday, by purposefully misinterpreting this week’s One Word Photo Challenge from Jennifer Nichole Wells. The word in question is ‘Bear’, which I deliberately misread as ‘Bare’. This post aims to make up for my bad behaviour! If you’re the sort of person that loves experiencing the wonders of the nature on your travels, why not sign up and follow my continuing Journeys here at Jaspa’s Journal (on WordPress or Bloglovin’), or through my website, Facebook, Twitter, Instagram and Tumblr? And if that’s not enough for you, the first three Jaspa’s Journey novels will soon be available to enjoy, both as ebooks and in paperback! Perfect for Kids 8 – 80! 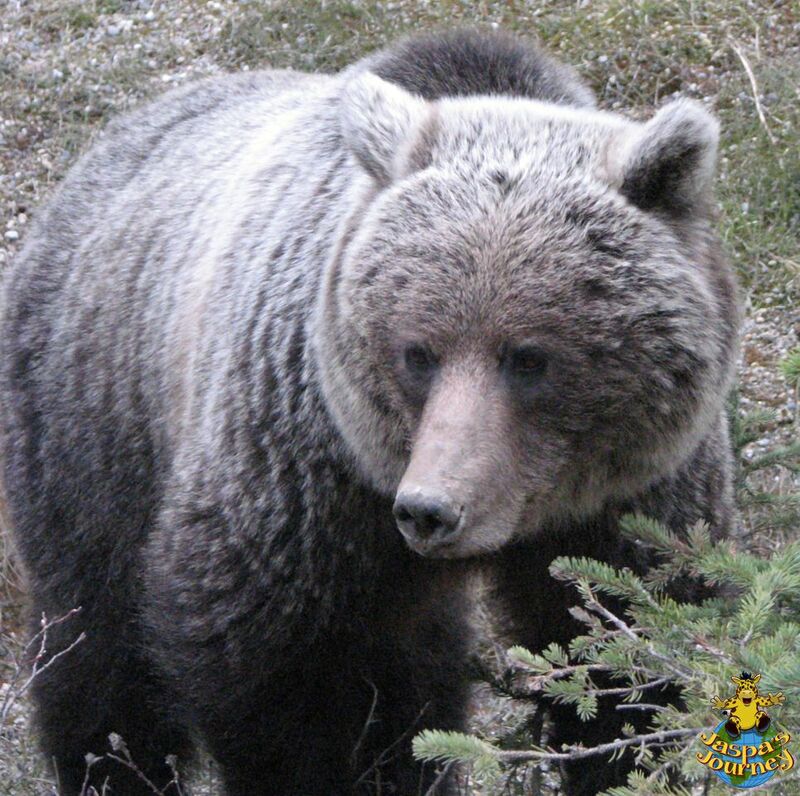 This entry was posted in Canada, Environment, Jaspa's Journey, Photography, Travel and tagged Alberta, Black bear, British Columbia, Grizzly bear, One Word Photo Challenge: Bear, Rocky Mountains, Whistler. Bookmark the permalink. Fingers crossed you have better luck on trip number five, Indra! 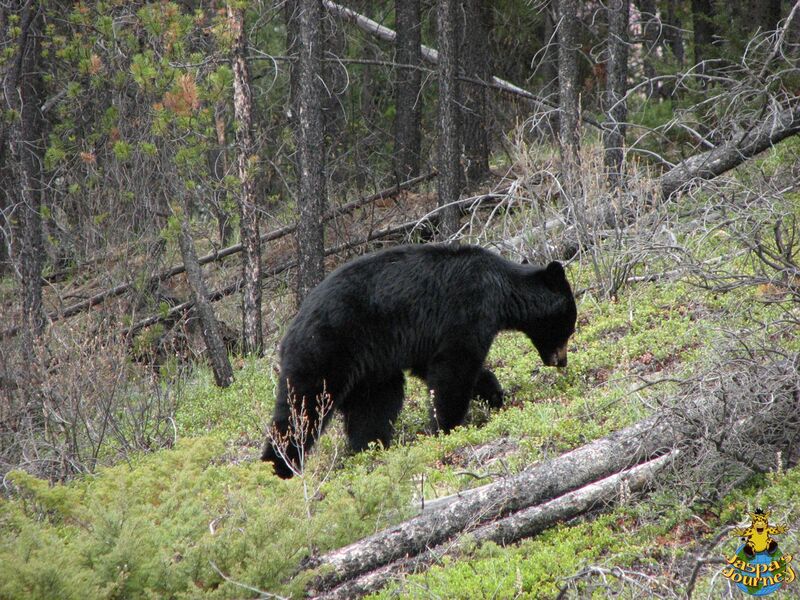 The first bear I ever saw was from the chairlift at Blackcomb! That must be 20 years ago now. 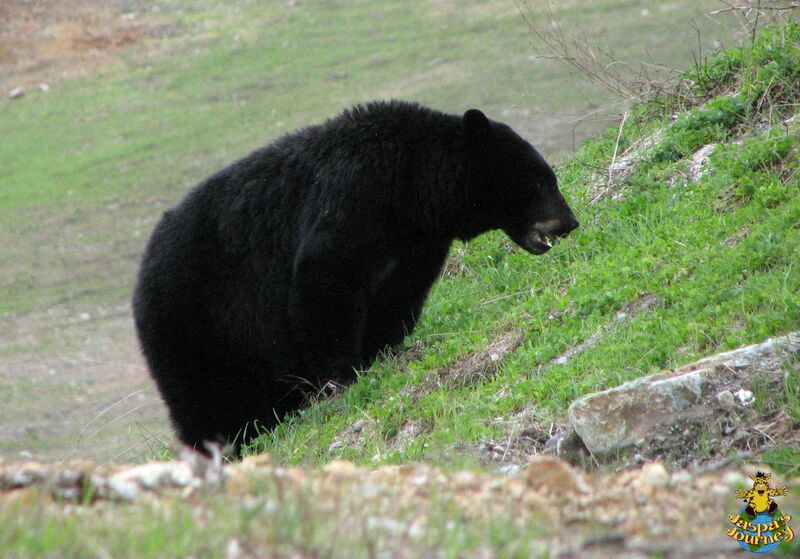 We’ve also seen several black bears in Shenandoah, but have never seen a grizzly. I’m quite glad. Your pictures are great – so close. 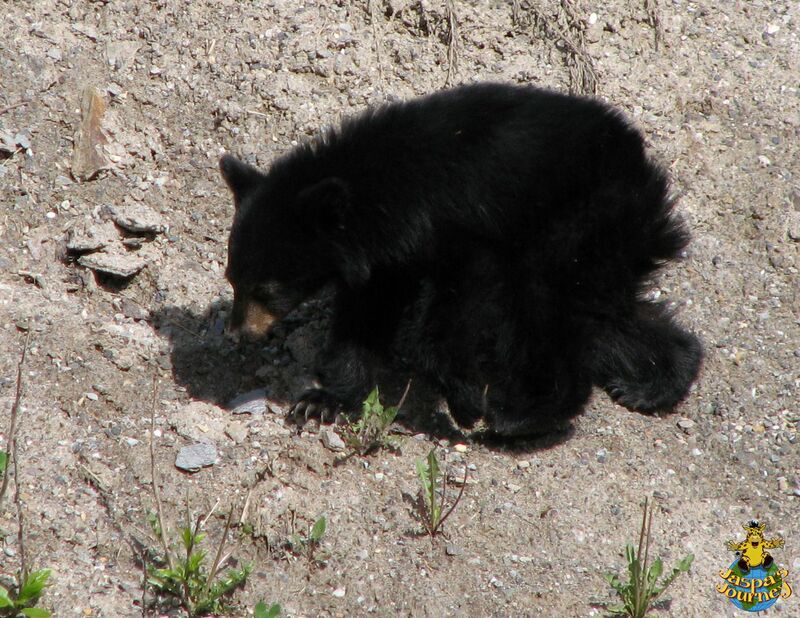 And I’m worrying about the baby bear now too….. I cross my fingers that they were fine and are wandering around the forests and mountains of British Columbia today, Anabel. He/she certainly was a cutie! Wonderful photos…They are such amazing creatures, and so awesome when you see them in the wild. I couldn’t agree more, Charlie. It’s a real pleasure to see them in the wild. Great shots. The bears are gorgeous. I just hope the little one found their mother.